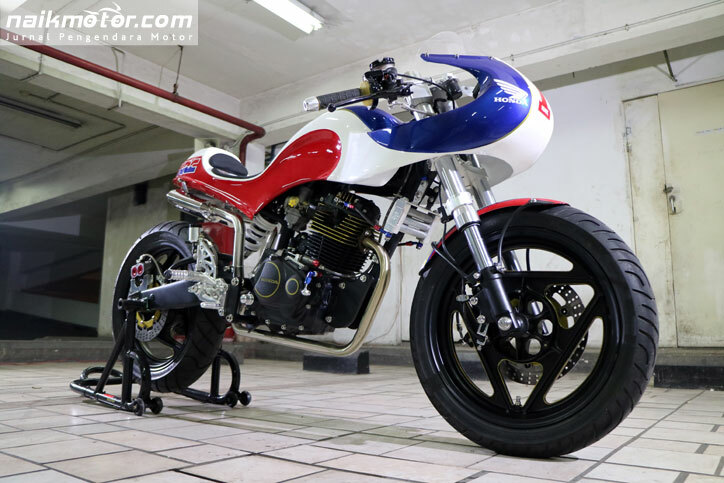 Yuwono Jati from Lunatic Inc. was surfing on the internet sought after the right café racer style for his modification bike. And then he tried to transferring those inspiring ideas on the 2006 Honda Tiger of his. 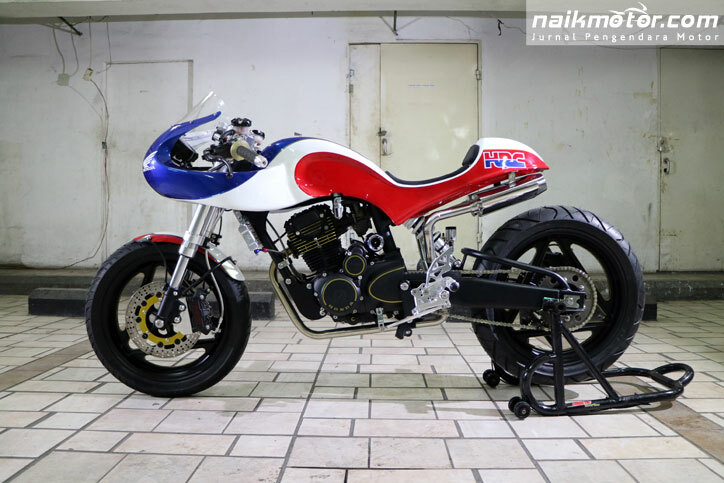 With the concept of this Neo Café Racer Concept, which also made the Lunatic Inc. became a champion at the 2016 HMC Serpong, last weekend. 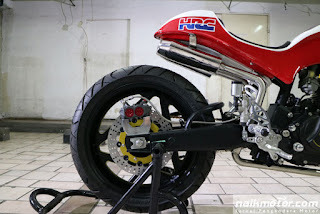 The Joglo-based workshop won the championship in the class of moped and sport racing of the Honda Modification Contest (Honda Modif Contest/HMC) 2016 in Serpong, South Tangerang. Jati saw, the proliferation of custom bike culture trend growing today, challenging him out of the general grip with developing something different. 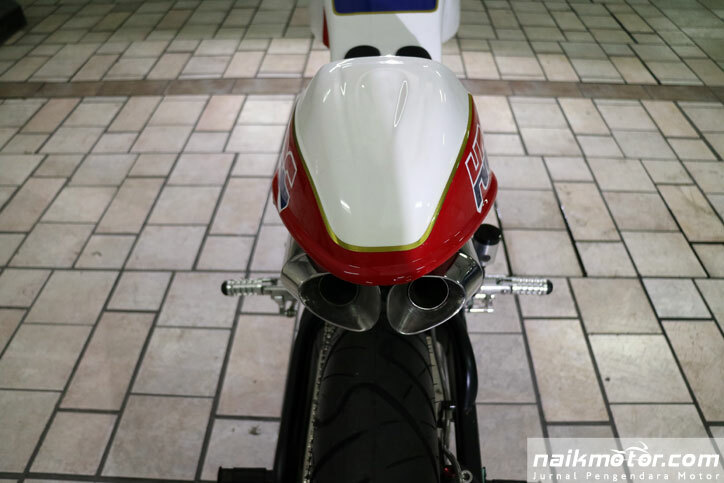 One bow refers to the style of café racer classic racing motorcycles. "I want to find something different from the usual café racer style. I then browse the Internet, see the modification of abroad workshops for inspiration," he said. One breakthrough he did, which makes the concept of a unified body of one piece started from the fairing, gas tank, until the tail. By using the galvanized steel materials, to anticipate if there were many revisions during the modification process. The sub frame is certainly trimmed, to adjust the size of the body. 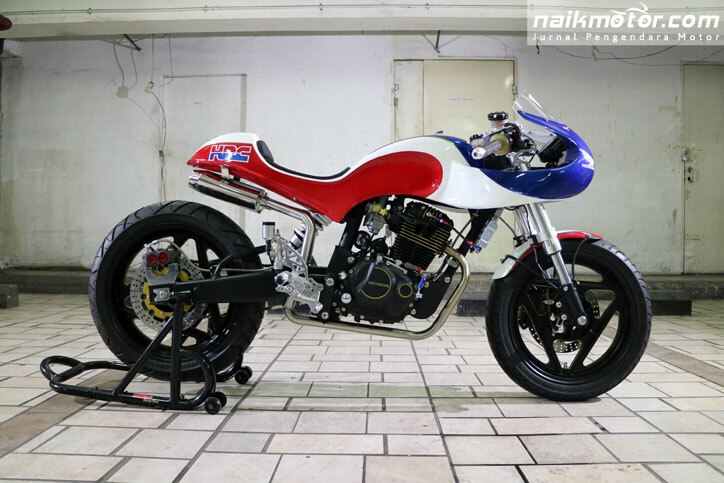 "I saw the café racer motorcycles are usually the fairing parts and body made apart, I try to make a difference by making it into one. The process of making the body somewhat difficult, due to six revisions. I use galvanized steel materials of 1.2 mm thick so that are not easily destroyed during the revision," said this stumpy man. 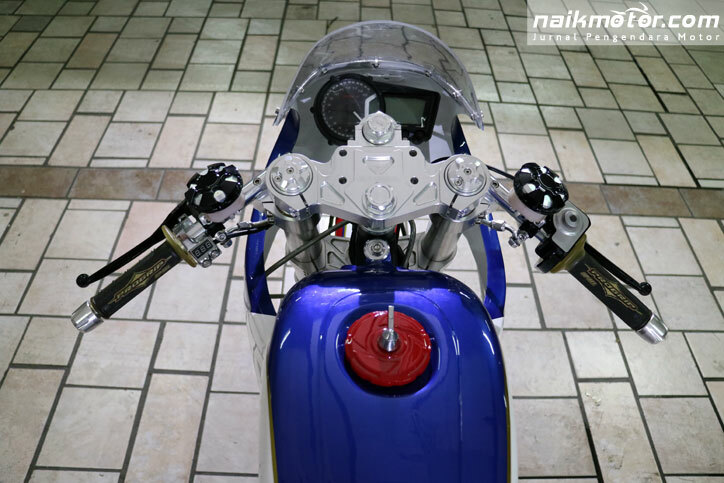 During work on his motorcycle, he was looking for his own the modification components required. One was a pair of rim obtained in the secondhand auto parts store. 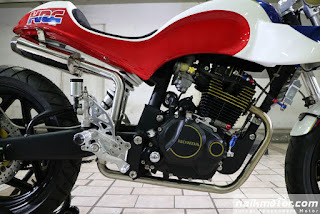 "Rims once used by Cagiva Freccia, the brand Grimeca. I got it at the secondhand auto parts store," Jati said while laughing. 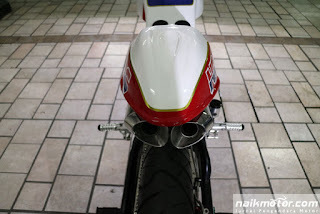 His favourites with the graphics of Honda Racing Corporation (HRC), which has the colors of red, blue, and white, making him chose these colors for his bike. At the fairing, there are number #1, like a number on the racing motorcycle. "I gave the numbers #1, because Honda's got jargon 'One Heart', and also as a motivation become a champion," Jati said further. The engine section unchanged. 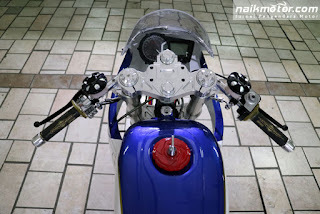 All was still the standard, this is done so that the motorcycle is not prone to damage. With the flashy and cool display of Lunatic-Tiger Neo Café Racer Concept of his, make Jati rarely use the bike for his daily activities. "This motorcycle just for the contest," he said so.